Since its founding by a utopian-minded French architect in 1884, New York’s Chelsea Hotel has been a hotbed of artistic invention and inspiration. Cultural luminaries from Bob Dylan to Sid Vicious, Thomas Wolfe to Andy Warhol, Dylan Thomas to Dee Dee Ramone — all made the Chelsea the largest and longest-lived artists’ community in the world. Inside the Dream Palace tells the hotel’s story, from its earliest days as a cooperative community, through its pop art, rock-and-roll, and punk periods, to its present transformation under new ownership. By exploring what it takes to maintain a creative community and how artists have enhanced and informed New York City life, Tippins, author of the acclaimed February House, delivers a lively and masterly history of the Chelsea and those who cohabitated there. "Tippins tells riveting stories about the Chelsea’s artists, but she also captures a much grander, and more pressing, narrative: that of the ongoing battle between art and capitalism in the city." "An impossible order for any writer: Get the Chelsea’s romance down on paper and try to keep up with Patti Smith and Joni Mitchell and Arthur Miller. But Sherill Tippins’s history does a vivid job of taking you up into those seedy, splendid hallways, now gone forever." 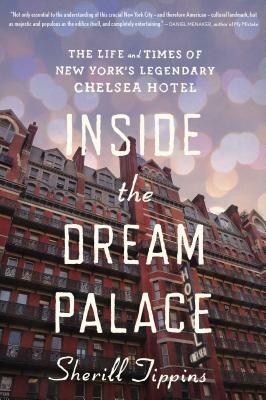 "Cool hunters will appreciate Sherill Tippins’s Inside the Dream Palace: The Life and Times of New York’s Legendary Chelsea Hotel, a social history of the city’s sanctuary for postwar artists and It girls." "Zealous, big-picture researcher Tippins not only tells compelling tales, she also weaves them into a strikingly fresh, lucid, and socially anchored history of New York’s world-altering art movements. Though its future is uncertain, Tippins ensures that the Chelsea Hotel, dream palace and microcosm, will live on in our collective memory."